HH. Sheikh Mehmet Geylani and HH. 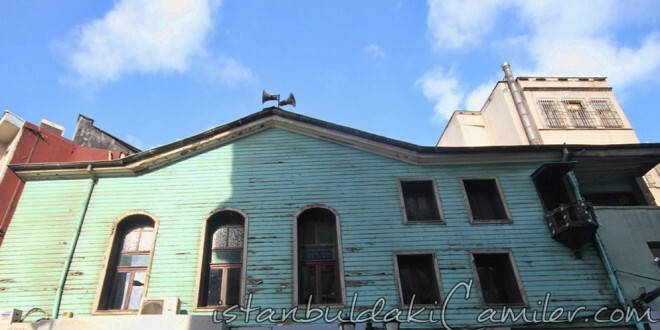 Ali Geylani who attended conquest of Istanbul had this mosque built that is also known as “Masjid of Sheikh Mehmed Geylani,” and “Maslid of Bursa” in the first years after the conquest. The mosque was built over the land given to HH. Sheikh Geylani as property. Ruined in time, Sultan Mahmud II had it rebuilt a new from the ground in 1830. Being really different from that of the classical mosques, it has a structure reminiscent of a villa. The mosque that has high Windows does not have a minaret. The tombs of the first benefactors Sheikh Mehmed Geylani and Ali Geylani are in downstairs in the wide windowed section. The mosque underwent several other repairs in the following years.